Have you heard about blood diamonds and dirty gold? Is it time to re-think our obsession with diamond engagement rings and gold wedding bands? Around the globe, society has been taught to covet expensive — and planet-wrecking — jewelry. The DeBeers company alone has spent millions convincing us that “Diamonds are forever.” In fact, 75% of women in the U.S. have a diamond engagement ring on their finger or in a jewelry case. 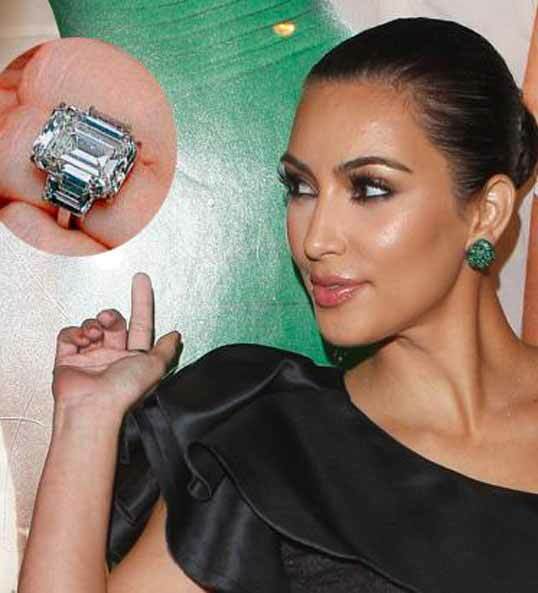 ‘Lucky’ gals, like Kim Kardashian flaunt their rings as a symbol of status and love. In India, a country with over a billion people and growing fast, gold jewelry is coveted as a status symbol, insurance, and traditional investment. Bold displays of gold blanket jewelry shops and wedding ceremonies. India alone accounts for 30% of the global supply of gold, and demand will only increase as their population grows. 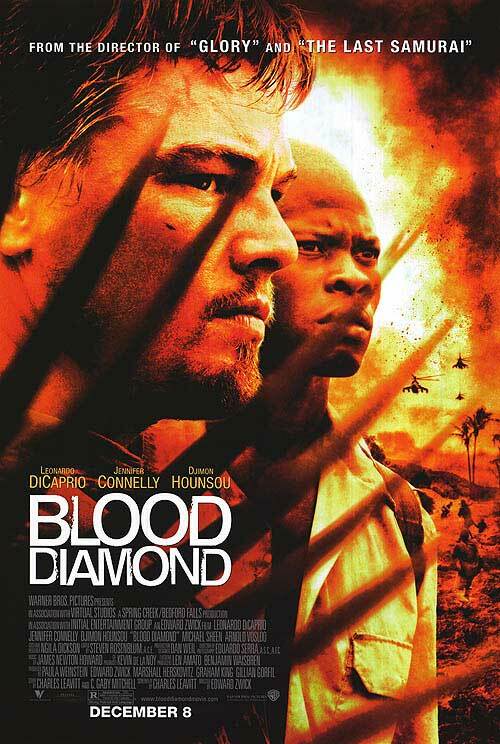 The film Blood Diamond (2006) starring Leonardo DiCaprio, an ardent green advocate depicted how the Western value assigned to rare stones fuels conflict and resulting bloodshed across Africa. In South America and Africa, gold is still extracted from stream beds in small-scale mining operations using mercury where it can have sometimes adverse, even fatal health effects. The process also disrupts ecosystems, erodes fertile soil, and pollutes air and water with heavy metals. No wonder Tiffany & Company attempts to reassure their stakeholders about the sustainability of their practices. However, is what they are doing enough? Is it Time for a More Modest Proposal? Someone had to ask, so it might as well be us Wastehaters: Do brides-to-be really need diamond engagement rings? Do their finances need to heed custom and societal pressure and spend so much money on an item with no functional value beyond sentiment and status? What if we started to value jewelry that was passed down from our parents and grandparents? What about diamond and gold alternatives that have been hand-crafted from recycled materials? Recycled accessories give our partners the opportunity to make something endlessly creative — even a one of a kind — tokens of their love, rather than cookie cutter diamond rings that create conflict and destroy the earth. 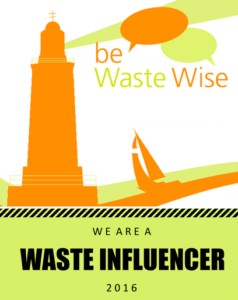 I am a Waste Hater. I am still single for the time being. But when the time comes, I would much prefer an engagement ring made from recycled materials than from a blood diamond. My favorite ring is made out of an old spring. Not only do I feel good knowing that spring has been kept out of a landfill, it helps me make a fashion statement that reflects my personal values. While strolling the Hoboken (NJ) Music and Arts Festival this Spring, I admired bracelets made from woven guitar strings, rings brilliantly crafted from silver spoons, intricate necklaces formed from sprockets and scrap metal. With so many of the artifacts we use every day likely to wind up in a landfill, jewelry made from recycled goods is a waste-less and more environmentally gentle, and I’d argue eminently more personally satisfying, way to add creative flare to our wardrobes than blood diamonds and dirty gold. Should We Rethink the Custom of Diamond Engagement Rings and Gold Wedding Bands? Can our fiances and loved ones show their commitment and love just as well via alternative jewelry — and help us make our own fashion statement, too? What do you think? I saw that movie – pretty good. On another front, I read this story about synthetic diamonds a few years ago: http://www.wired.com/wired/archive/11.09/diamond_pr.html The quality is up and the prices are not cheap. I’ll never wear gold again. I think it’s actually gauche. I know most will not agree, but no one can deny it is flashy. When I see brass in a home, I used to say – and I made this up – brass is for people who can’t afford gold. Now I see gold and my reaction is that the person is insecure or insincere. It’s a personal decision. And no matter the human element in terms of mining and societal effects, there’s always environmental effects. All these impacts are hard to trace and reassure one that the precious metal you’re wearing doesn’t really flash a message about some poor soul’s misery. Great topic and great article! For those who want to stick to the traditional diamond engagement ring – you don’t have to sacrifice style/design for responsibility. My husband worked with incredible jewelry designer Lisa Linhardt in NYC to design my engagement ring, which is made from recycled platinum and conflict-free, GIA certified diamonds. I get compliments on my ring all the time given its unique design and knowing it was responsibly sourced makes it even more beautiful. Check Linhardt Design out at http://www.linhardtdesign.com/about_sustainability.php and her blog posts on responsible sourcing at http://www.linhardtdesign.com/blog/?cat=147. She’s wonderful to work with! Mark- Such good points. It is strange that, with all we know now about the ways precious metals are harmfully mined, gold and diamonds are still such status symbols. It will be interesting to see if this changes as more knowledge regarding practices harmful to people and the planet are exposed. Will metals that used to be considered second rate, tacky, or for the less affluent become more popular and more valued? Tess- Thank you for the resource! It is great to know that some in the jewelry and jewelry design industries are working to ensure they are made socially and environmentally sustainably. Great post Katherine. And important topic to bring more awareness to – imho. I for one do not get the obsession of a big chunk of carbon on one’s finger . It’s unsightly if you ask me. 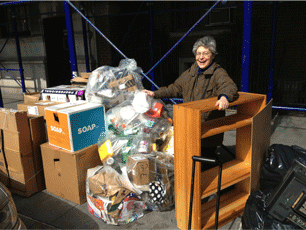 And the toll it takes on the planet – sheeeze! First: Barbara, How NICE to see you back on here! Yes, Kate et al, this is an important topic. Makes me think we’d better all sell our rings NOW before the prices drop. I have two mink coats (inherited from mother) that are practically valueless, thanks to anti-fur sentiment and warmer winters. Will diamond engagement rings decline in value in a similar way? Thank you for your comment. It is certainly a topic that needs more attention brought to it, and with publishers like GreenBiz with a large readership base drawing attention to the issue, maybe it will start to gain some momentum. It will be interesting to see that as awareness is raised, the value of diamonds (and other commodities bad for our environment) change like we have seen with fur. The recent New York Times Bestseller “The Engagements” by J. Courtney Sullivan is a look into how much of the marriage tradition is still focused on diamonds. Although the novel takes place aways back, it’s success points to our culture still having very significant interest in the stories that surround diamonds. Ever since I was young, I have been in love with my grandmother’s diamond engagement ring. I know it will be passed down to my mother, and eventually to me. As I’ve gotten older, not only do I value it for its beauty and sentimental significance, but I know that when the time comes for me to wear a diamond on my finger, it will be the same one that my grandfather bought my grandmother, and no (additional) people had to suffer or be in conflict for me to enjoy the twinkle and glitter of the bauble. We as a society have done too much taking-out of the Earth’s finite resources, and especially when it comes to jewelry, there already is quite enough in circulation that hand-me-downs should be cherished. I also very much appreciate the rise of online marketplaces like Etsy, as a way for local jewelers and artisans to promote and share their work. Not only are you supporting local artists and initiatives, but the jewelry and art you get is often completely unique, intricate, and certainly conflict-free. I have never been disappointed with a trinket from Etsy, and would encourage all who are searching for a unique gift – even an engagement ring – to check on Etsy for beautiful alternatives to diamonds, which really only came into fashion in the 1940s! 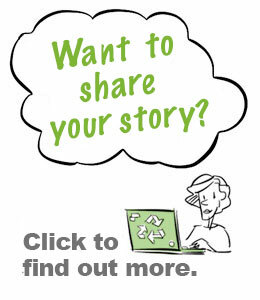 Meaghan thank-you so much for sharing the info and link to the Enough Project! Thank you for your comment and for more information about the Enough Project. As organizations like this receive even more attention, hopefully more will become educated about these issues. Etsy is fantastic alternative to big-name stores. A few family members of mine use Etsy to sell homemade jewelry and clothing, and it has been a great way for them to market and sell their products with the growth of online shopping. Thanks for sharing! Great topic Katherine! This has been on my mind for quite some time. Personally, I love shiny things. From jewelry to headbands, I love a good sparkle. Now I tend to buy items that are neither real gold or diamonds, but I definitely would not lie to myself and say that I did not see items made out of these materials that look really good to me. That being said I always feel guilty. I feel like a lot of people might be feeling the same way I do, but there are so many alternatives these days. 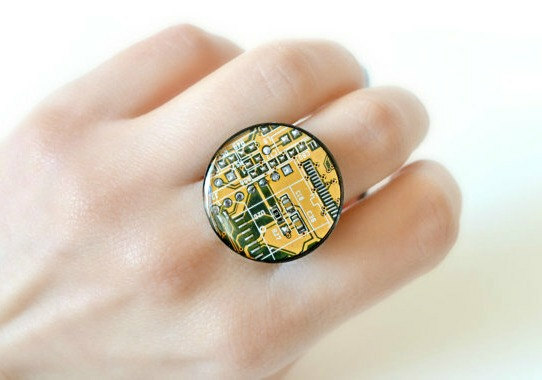 I am in love with the wooden rings you see these days (such as on Etsy). An issue that my mind always lingers on are lab-created items or other processed materials. While in a effort to stay away from blood diamonds and dirty gold are we going to create a second issue of pollution to create processed materials? I definitely think that there will be a significant decrease in people getting traditional engagement rings. A lot of people are seeing that it is not the right thing to do by humanity. At the same time, I think that we should also be mindful about deterring people from going towards certain alternatives. We have to get everyone thinking the spoon ring is ideal and have them stay away from the blood diamonds and dirty gold as well as lab created and processed materials. Even if someone wanted a diamond, I’m sure there are people who sell their old rocks or get passed down generations. I completely agree- if we are to move away from metals and stones that are socially unsustainable, we certainly need to also push away from materials like cheaply produced, petroleum-based plastics also quite harmful for people and the environment. I also agree that jewelry and accessories made from wood are a great alternative. Unfortunately, at the moment the boom of the cheap accessory store tells a different story. Great article! It’s definitely good to bring to attention that there are ways to change these “norms” and traditions. I feel like so many people want a diamond ring just for what it stands for and not even for the diamond itself. Isn’t that such a waste? It’s great to see so many organizations bringing to attention all these issues that we people go through just so we can look pretty. I’m not saying that I don’t find them beautiful…every girl loves her shiny things… but there are so many alternatives. So glad to see how big and successful Etsy has become. It is such a great way to promote good living, while also helping people to practice their craft. Pinterest is also a site that makes it easy to see all of the crafty ways people make recycled jewelry. While I feel like the issues of blood diamonds and the like will always be present, it’s great to see how many people are really interested in alternatives. 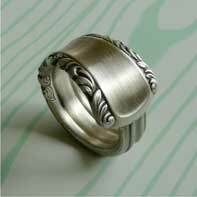 I love the picture of the ring made out of a recycled spoon. So cute and seems like such a cute wedding band! What are your thoughts about inherited jewelry? I do wear the ring my dad gave my mother on their wedding day, and I have inherited other rings. I don’t mind so much wearing things that a., have sentimental value, and b. have already been made into wearables, so I’m not adding to the mining of gold and diamonds. I completely agree that there are benefits (and no additional harm) to wearing inherited jewelry. I do the same thing. It is a far better alternative to purchasing new things, even if they are sustainably sourced, as they still need to be sourced from somewhere. There is a question, however, as to whether or not those inherited accessesories will hold their value if more informed consumers try to avoid things that might not have been sourced environmentally or socially responsibly. You raise a good point, Kate. Will our grandmother’s engagement rings hold their value? I know my mother’s mink coat has not! For now, I’m enjoying wearing my mother’s ring, but I suspect it might be coming at a price! Katherine (or anyone else reading) – I’m curious what your opinions are about lab-created gemstones as an alternative to diamonds. I was recently researching alternatives to diamond engagement rings, and it seems that some cost-conscious consumers were turning to lab-created white sapphires to avoid the stigma associated with blood diamonds. But, I haven’t been able to find any information about the environmental effects of creating these stones. My gut feeling is that creating the high temperature/pressure conditions to artificially create a gemstone must entail some mean GHG emissions, but it also seems to solve some of these moral dilemmas for people who still want that shiny ring. Any insights? Thank you for bringing up this point. Unfortunately, I don’t know much about lab-created stones. As you suggest, I also assume there must be a decent amount of energy input required to produce them, however considering the process of extracting, shipping, and cutting diamonds, the different might be minimal if there is really any difference at all. From a socially sustainable standpoint it is likely far better to turn to a lab-created stone. From a GHG emissions standpoint, depending on the type on energy required to create the stones, avoiding the use of fuel to transport diamonds across the globe by turning to synthetic alternatives is probably also more environmentally sustainable. Pingback:	Trend: Buying recycled wedding rings | Kinkementary 100% Free Dating | Free Online Dating | 100% Free Dating Site & Free Online | Free Online Dating: Chat with Singles nearby! Today blood diamonds. Tomorrow dirty gold? Today, there are certified conflict-free diamonds, but even these are controversial, with diamonds from Canada competing and claiming the only way diamonds can be conflict free is to come from an ethical source like Canada. The problem is diamonds are fungible. Really the only way to assure diamonds or gold are ethical and conflict free is to buy synthetic diamonds and to not wear gold at all. The other idea is to compliment everyone you can on their diamonds and gold and then ask, “are they conflict free”? If they look at you with a puzzled look, or even if they answer, well, I wouldn’t respond. Let them who wears this stuff wonder. I recently got engaged and am delighted that I was given my fiancé’s grandmother’s engagement ring. Although his grandmother is no longer with us, and I never got to meet her, we share our first name and the ring is still inscribed, from when it was first given, with her and my name. It is so beautiful, simple and special. I have received some interesting comments however including someone asking whether it really felt like I’m engaged even though the ring is very small and simple. I think a lot of young women have been made to believe that a big diamond is necessary to feeling loved. Lucky, I have no such feelings and am honored to get to wear a ring that belonged to such an amazing and well loved woman! I love the idea of passing down rings through generations, but I think this still reinforces the idea that women should wear diamonds as a symbol of love when the extraction of these gems spurs actions motivated by an obvious lack of love. Even if some diamonds are “cruelty-free,” their value in the market as desirable goods will still motivate violence for the gems by other groups of people. I love the ring made from a spoon handle, and I think shifting to use other representations of love and commitment that do not require digging into the earth to uncover these crystals should be our ultimate goal. I hope one day when people get married/committed, they exchange something of similar value and meaning to each other. 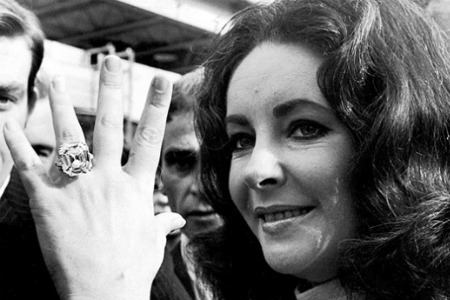 I’m a woman and I’m asking, why do women need an expensive shiny ring? To me it perpetuates notions of women as property and kept ladies. And I’ve done the whole ring thing before, so I do get the allure. I believe traditions should be examined, not blindly regurgitated.